The healthcare industry is sitting on the precipice of opportunity. More data than ever is traversing through the industry. In fact, the U.S. healthcare system was already generating 150 exabytes of data several years ago and was expected to soon reach zettabyte (1021 gigabytes) and eventually hit yottabyte (1024 gigabytes) scale.1As such, the promise associated with turning information into the intelligence that will improve clinical care, enhance efficiency and reduce costs is greater than ever before. 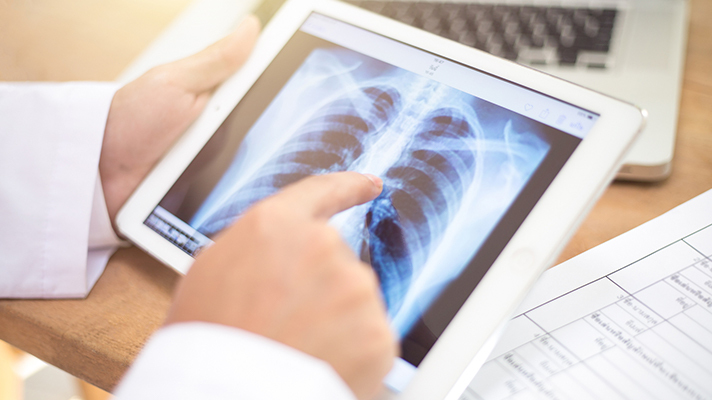 The study found, however, that healthcare organizations will likely need a bit of a push to fully embrace edge computing, an IT architecture that places data processing and analytics capabilities closer to the sources of data capture. A better understanding of what edge computing is – and what its benefits are. “Even our customers who have been using edge devices, or connected devices in general, don’t really think in terms of edge computing at this stage . . . That terminology is only just starting to catch on; most hospitals still think of [edge devices] in terms of virtual machines behind a firewall,” said an IT vendor executive who participated in the study. Rod Piechowski, Senior Director, Health Information Systems at HIMSS, agreed. “People are already engaged in edge computing and they don’t even know they’re a part of it. It’s a relatively new term. Not everyone sees the need for it yet, and the case needs to be made in order to move towards it,” he noted, adding that a better understanding of the ins-and-outs of edge computing could help propel the industry toward increased adoption. A recognition of the need to resolve latency challenges. Currently, hospitals are primarily using IoT devices for asset management and workflow optimization, while many are also moving toward the use of IoT devices for environmental and infection control, according to the study participants. While latency is not an issue with these applications, it will become increasingly important as healthcare organizations begin to rely on IoT devices for clinical uses. And, healthcare leaders are interested in the potential adoption of a variety of clinical IoT devices that require low latency such as blood pressure monitors, dialysis machines, neonatal incubators and many others, according to the study. “With these IoT applications, healthcare organizations are dealing with clinical safety and clinical outcomes. You don’t want latency to interrupt decision making. When using IoT for something like cardiac monitoring, for instance, speed really matters,” Piechowski said. An acknowledgement of limitations associated with the cloud. As the volume of data flowing into healthcare continues to increase, providers will need to address current data storage, server resources and security issues. “As bandwidth becomes a more pressing issue, edge computing will become an attractive alternative or complement to cloud computing, possibly creating a hybrid approach. And valid use cases that demonstrate the value of the edge computing architecture will drive further adoption,” Piechowski said. An appreciation of edge computing’s flexibility. Because edge computing does not require organizations to rip and replace current architectures, they have the agility to more nimbly move forward with new initiatives. As such, total cost of ownership is reduced, as organizations are able to meet emerging needs on a modular basis. Indeed, moving toward edge computing offers myriad benefits but many challenges as well. An upcoming series of executive summaries will provide a roadmap that makes the journey toward edge computing more manageable. More specifically, these executive summaries will explore what edge computing is and its benefits; edge-computing solutions and strategy development; how to overcome barriers to edge computing adoption; and how edge computing can better support artificial intelligence, machine learning and deep learning. Click Here for more from Intel on The Evolution of Edge Computing. IHTT. Transforming Health Care through Big Data Strategies for leveraging big data in the health care industry. 2013. IoT Health Intelligent Edge Market Assessment and Strategy Support. The Beacon Group. February 23, 2018.